Addiction Moroccan Rose holiday 2012 collection! 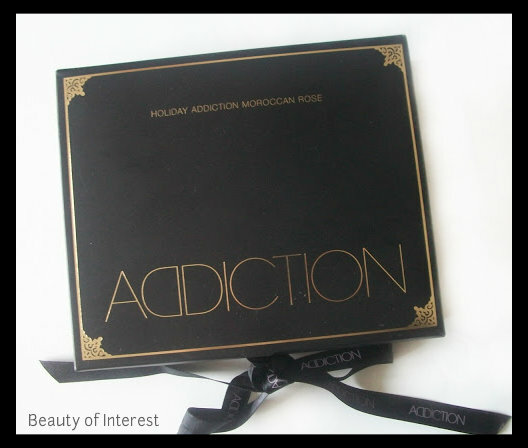 Every year Addiction comes out with a special pre-made palette and for this year 2012 the holiday palette is called the Moroccan Rose collection. 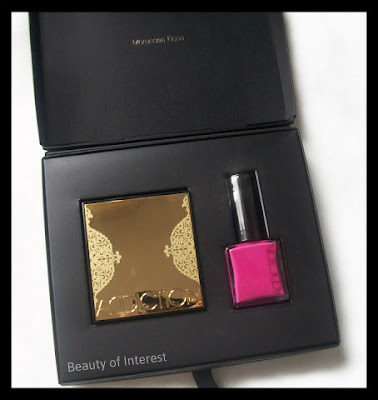 The holiday palette comes with a pretty candy pink nailpolish in a simple black and gold coffret. ADDICTION holiday 2012 promo picture. So of course I had to get my hands on these and ordered it when it was release the 9th of November 2012. From all the holiday collections this year, this was the one I was the most excited about. In this set you get a quad and a nailpolish, all wrapped in a pretty black and gold case with 2 pieces of strings to tie the box shut. The shade that has intrigued me the most is Damask. I didn't expect such a complex colour, yes even for Addiction. A mix of different colours but when applied, it comes out as a lovely cool medium pink colour. Texture is a bit drier than most of the regular Addiction eyeshadows but still smooth and pigmented nonetheless. No visible shimmers was added to this colour so it will give a lovely matte finish. The gold colour however is a different case. It feels like a pigment that has been pressed together to a solid consistancy. 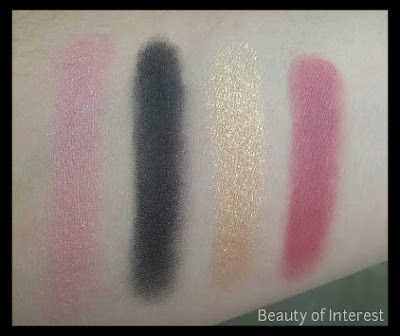 It's definitely shimmery and not as pigmented compared to Damask but still smooth and buttery which can define most of the Addiction eyeshadows. Applied over a good eye primer there will be zero chance to have any fallout. A bit of layering will be needed to get this gorgeous shade to show up better but luckily it's easily buildable. 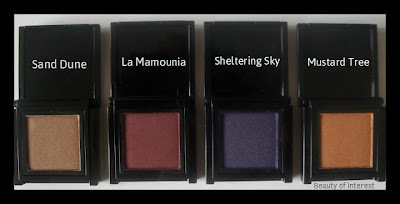 Next is the black kohl liner which I thought will be simular to the other kohl liners that Addiction has released before for their Desert Rose fall collection 2012. Let me tell you this, it is not simular. The texture of the black kohl liner in this palette is a not as soft and smooth compared to the buttery goodness of the kohl liners from the fall collection. The shimmers in it are very subtle but once applied on the skin it's a completely matte finish. Very pigmented and used with a proper eyeliner brush (I prefer an angled brush for this type of kohl liners) it will give you a flawless eyeliner look. Last but not least the cream blusher. The shade is a gorgeous mauvy pink colour and the texture is superb. 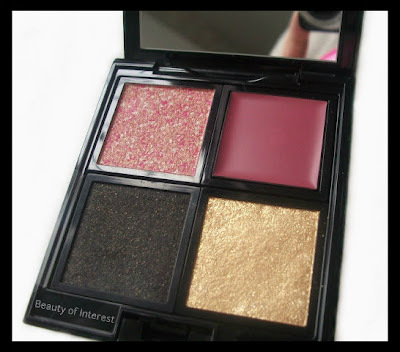 Very creamy, pigmented and easy to blend on the cheeks (no need for a brush to buff it out). 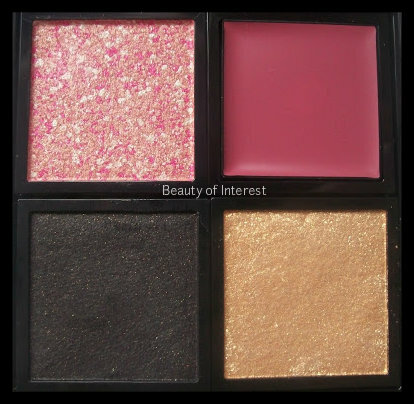 Texture reminds me a bit of the Becca cream blushes but slighty creamier and with the exception that it's not as opaque that there will risk of overapplying it (like Illamasqua cream blushes where a light hand is definitely needed). Here are some proper swatches of this beautiful palette. Addiction decided to make a fun set this year so of course there had to be a nailpolish in it. A candy bubblegum pink colour nonetheless! The nailpolish is called 'Miss You More' and the shade is a must have for the girly girls out there. Texture is very creamy but not very opaque with just 1 layer which can result in a streaky application. I needed at least 2 coats to get a even finish but it's really worth it. 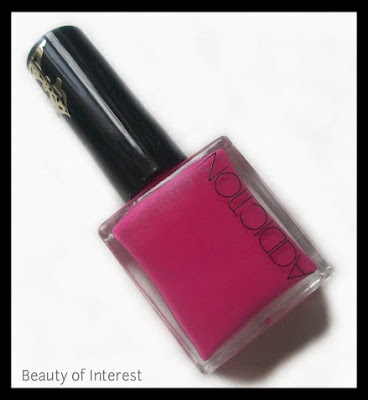 Brush of the nailpolish is not really wide but it's firm which will make the application quite easy. When applied it will dry up to a matte finish (which I personally love) and used over a decent base coat it will last you several days without chipping. The Addiction nailpolishes reminds me of the Butter London polishes but a bit creamier and easier to apply. This limited edition Addiction holiday set retails for ¥7,140 Yen and can only be ordered in Japan. Some online retailers like Ichibankao or Bobodave have carried this holiday set as well but be quick since their stock is limited. 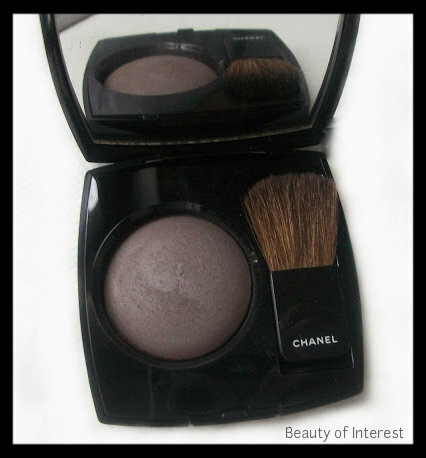 Review: Chanel Notorious Joue Contraste. 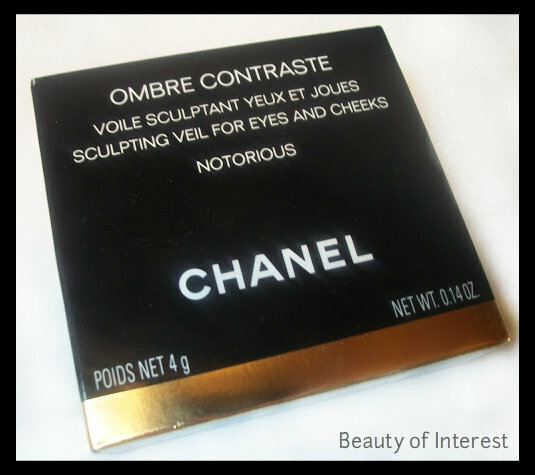 Chanel came out recently with a limited edition contour shade in the form of a Joue Contraste, called Notorious. No need to say I was quite greedy to get one excited about this when I heard about this and decided to purchase one and give it a try and see if it lives up to the hype. Before this has been even released, Chanel was already using it on their models on the runway which caused a lot of publicity as well for this product. Before I start, I just want to say that I got Notorious awhile back (around 2 months ago I believe) but I wanted to give this a good try before doing this review. 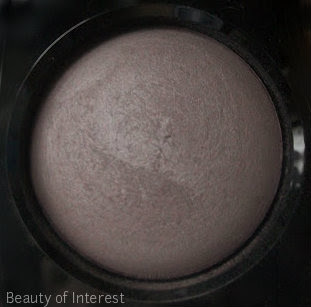 Notorious is definitely an unusual shade for a contour product since it's more of a greyish taupe colour with a hint of purple. What came in mind when I first saw it was that this colour will not suit all skintones for sure. Like most of the Chanel Joue Contrasts, Notorious is baked like most of the EU versions of their products. Despite of that there was no issue at all with the colour payoff. In fact it almost leans towards powdery to the point where a light hand is needed to apply it. The greyish shade can look a bit unnatural on the skin (esp. when you're pale) compared to the usual brownish contour powders. Nonetheless with the right amount and application, this will give beautiful defined cheekbones. Using a contour brush like the Hakuhodo 210 and Yachiyo or the Ray Morris Small face kabuki would work best with this product. But honestly any soft squirrel brush would do the trick and won't deposit too much product onto your cheeks. Here are swatches of Notorious compared to other contour products that are kind of simular in shade. Yes some of them are eyeshadow but this is just as a reference for the shade. Notorious compared to other shades. 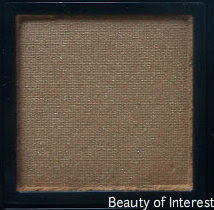 As seen on the picture, the closest dupe would be Catrice Starlight Espresso in terms of undertone. From the ones mentionned above, the only other contour powder besides Chanel Notorious is the Kevyn Aucoin Sculpting powder which is more brownish compared to Notorious. This would look the most natural on most skintone and the texture is very smooth and silky which makes this one of my favorite contour powders out there. Chanel Notorious retails for $43 USD or £31 GBP if you're in the UK and can only be found online or at the Chanel boutiques. As mentionned above, this is a limited edition product so it will be sold out very quickly. By Terry fall 2012 Luxuriant collection! So one of the brands that has always intrigued me is By Terry. Created by make up artist Terry de Gunzburg, one of the concept is luxury and this is reflected by the price point of the brand. "My idea was to offer the same criteria of excellence, the same standards of perfection and expertise as are found in Haute Couture. I had been recognizing this phenomenon of personalization for a long time. I watched the world of luxury products slip toward a kind of standardization, of globalization, which essentially offered the same product for everyone. In the wake of the overconsumption of the 1980s and the minimalist, revivalist spirit in the early 1990s, I was sure that the next century would begin with people seeking pure creation and individualization." 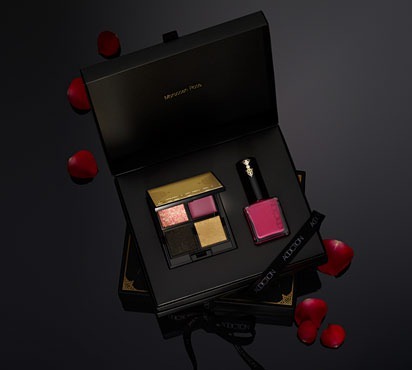 So for this fall 2012 collection, By Terry has release new Ombre Blackstar shades, 5 new Rougeterrybly lipstick shades and 3 nailpolishes. Overall this collection is all about darker colors and bold lips for the season. 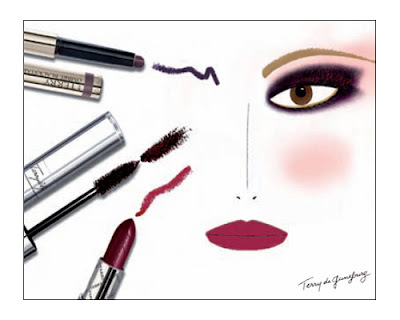 One of the look Terry created is a smokey look with a dark lip. The products I got are #404 Carnal Attraction Rougeterrrybly lipstick and 2 new Ombre Blackstar eyeshadow sticks, #09 Velvet Orchid and #10 Midnight forest. I was immediately drawn to the new eyeshadow stick shades which are right up my alley. 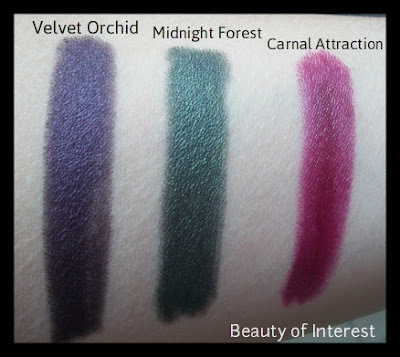 Velvet Orchid Ombre Blackstar is a deep purple that would look amazing on people with green or brown eyes. 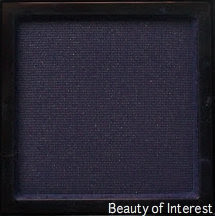 Midnight Forest is a dark moss green color that would even look beautiful if it's worn on its own. 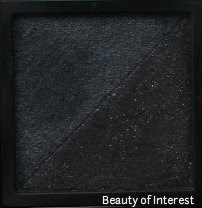 The Ombre Blackstars are probably one of the best products of the By Terry make up line. The texture is creamy and smooth and very blendable. It has a satiny finish and it should last all day on the eyelid when it's worn over a good eye primer. 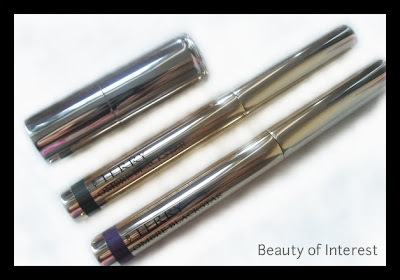 No need to say more that these eyeshadow sticks are excellent make up products and definitely worth the investment. 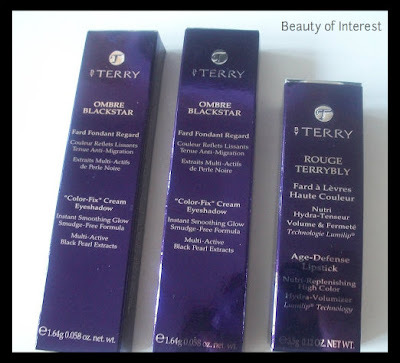 Another favorite product of mine from By Terry is the Rouge Terrybly lipstick. 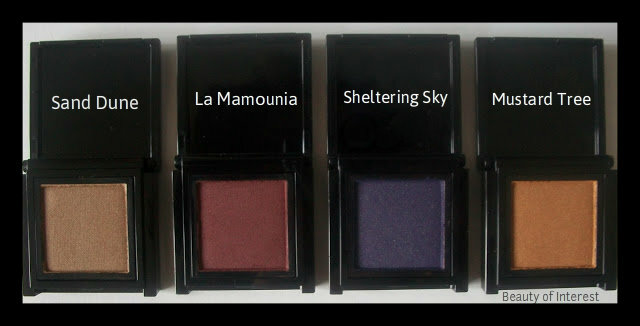 As mentionned before, there were 5 new shades released with this collection. 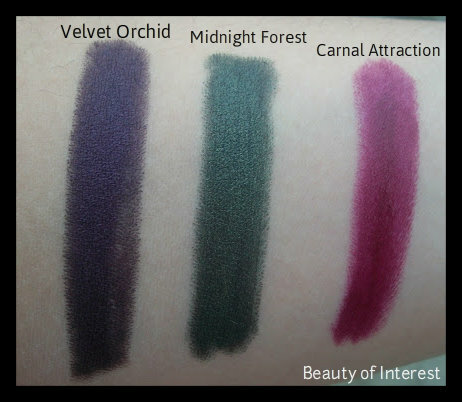 The one that caught my attention was #404 Carnat Attraction, a dark wine-purple color which is perfect for the fall/winter season. 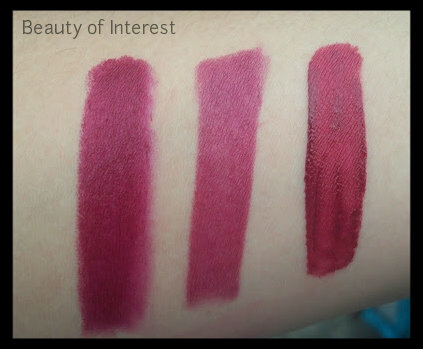 These lipsticks have a very creamy and light weight texture with superb pigmentation. These lipsticks are quite long lasting while keeping the lips moist all day long. 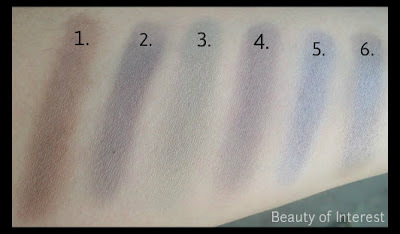 Some swatches that to show how they look like applied on the skin. And to finish this off, here is a comparison of Carnal Attraction with other lipsticks that are more or less simular in shade, Cle de Peau R10 and Guerlain Orgueil Rouge G L'Extrait. From L to R: ByTerry Carnal Attraction, CdP R10, Guerlain Orgueil. By Terry Ombre Blackstars cost 30 EUR/$43 USD and the Rouge Terrybly lipsticks 36 EUR/$49 USD each and can be purchased at the By Terry counters (like Sephora and Barneys) or on their website. 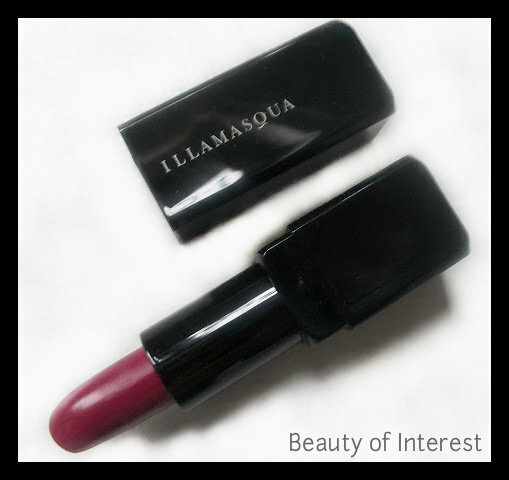 Illamasqua Generation Q Fall 2012 collection!
" Generation Q is a celebration of individual self-expression. Ageless, and without limits or restrictions. It’s our declaration to the world that beauty is inclusive, not exclusive. In fact, Generation Q is a clear message to everybody, everywhere that beauty is not young, old, black, white, male or female, but anything, everything and everyone. So in typical Illamasqua style, we have done something that no other brand would or could do. The Generation Q campaign will go against the industry’s despicable taboo, by featuring older models as well as young. In fact, Generation Q models aren’t models at all, but real make-up fans, with a real sense of their own beauty. The future of beauty is changing and we are the new voice of a brand new generation – Generation Q, where beauty has no age limits." When I first saw the promo picture of this collection, I wasn't too excited about it and honestly thought I would skip out on this collection. But after hearing more info about the products, I caved and bought 2 Generation Q products, Magnetism lipstick and Charisma nailpolish. 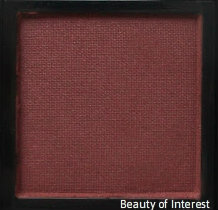 Magnetism is a beautiful deep raspberry shade that would suit a variety of skintones. 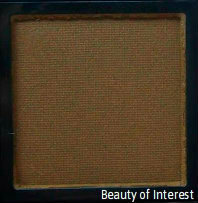 Texture is creamy, opaque and quite long lasting. The color fades evenly on the lips and is very comfortable to wear. 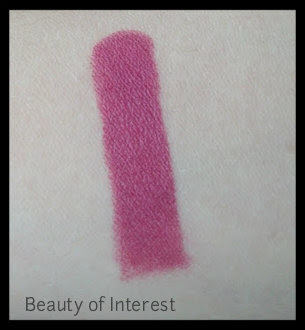 I find this lipstick is the stand out in this collection and is definitely worth checking out. The other lipstick Underrworld is an iridescent blueberry violet color with shimmers in it and that's the biggest difference between these 2 lipsticks. Magnetism doesn't contain any shimmer at all. 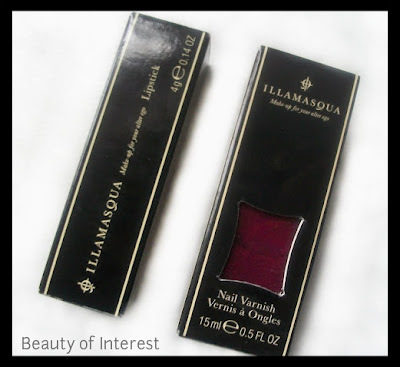 Illamasqua also created the Charisma nailpolish to go with the Magnetism lipstick. As you can see, Charisma is the nailpolish version of Magnetism lipstick and has the same deep rosy/raspberry shade. Illamasqua nailpolishes are probably one of my favorite nailpolishes out there so I knew before I ordered it that I wasn't going to be dissappointed. And indeed....it lives up to my expectation and even more! A beautiful creamy and opaque texture that is very easy to apply with the applicator brush. I only needed 2 coats to get this opacity and it didn't streak while applying it. 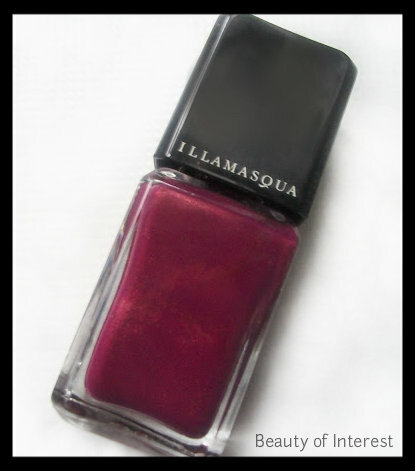 Illamasqua polishes will be more long lasting when applied over a proper base coat. All by all I was very pleased with the products I got. This collection is definitely worth checking out for those who wants to venture more into this brand. The eyeshadow palettes are perfect for everyday use because the colors are more neutral but can also used to create a smokey look for na evening out. 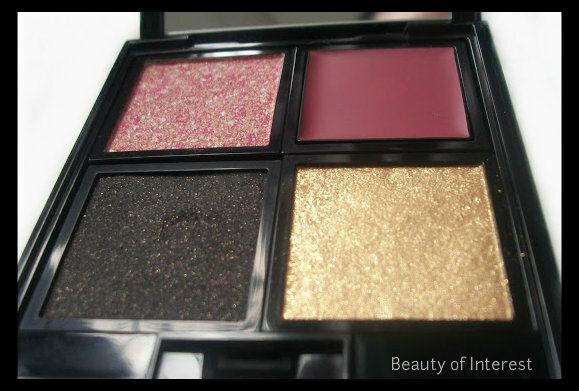 The blushes in this collection are shimmery, compared to the ones in the permanent range. I can see this would be an issue for some people because shimmer tends to accentuate pores and uneven skin. A word of advise would be to try it first before buying these. Illamasqua products can be purchased at the Illamasqua counter and online on their website. Before I start, I want to let you all know that I'm fully aware that the fall season has ended and that the holiday collections are already out now. This post is long overdue but I wanted to share it with you guys anyway. The fall collections this year have been quite amazing in general and I was more than happy to purchase quite a few items from several brands. One of them is Addiction which is called Desert Rose. With this collection Addiction has released 6 new eyeshadows, 4 kohl eyeliners, 2 striped blush mixes and 4 nailpolishes. No need to say that I was quite excited to try some of them so I ordered immediately when it was released on August 17th 2012. 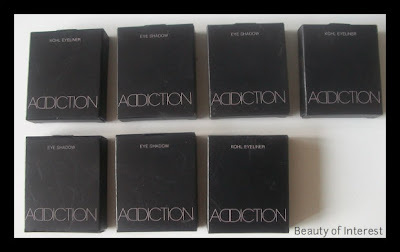 Let start with the regular powder eyeshadows. 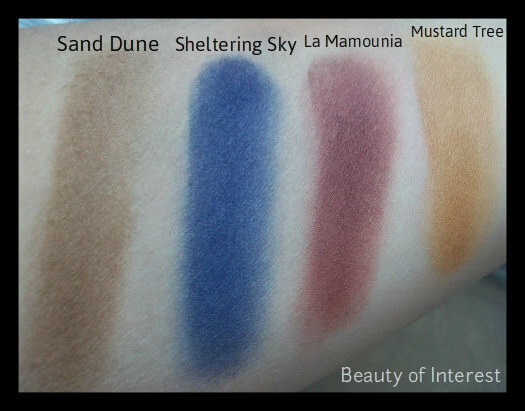 I've purchased 4 of the 6 new shades: Sand Dune, La Mamounia, Sheltering Sky and Mustard Tree. All of these shades have a matte finish and very pigmented. 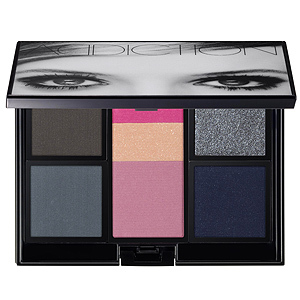 One of my favorites eyeshadow texture from Addiction because they are so easy to work with, blends like a dream and true to color as well. Sand Dune is, like a the name already revealed, a dirty beig sand color. This color is appropriate for this collection which is called Desert Rose. Sheltering Sky is a bright blue color which is not as dark as it looks in the pan. Some people have mentionned that it looks a lot simular to Midnight Oasis so for those who already own that one, it think it's safe to skip on Sheltering Sky. 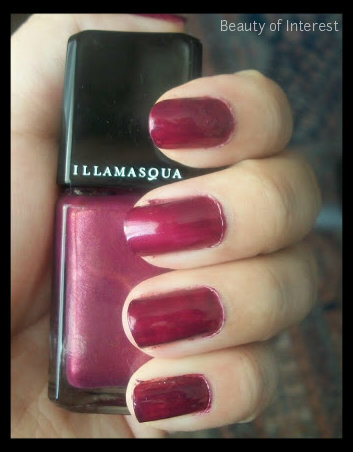 La Mamounia is gorgeous dark cranberry and the perfect color for fall and winter. Mustard Tree is a true mustard yellow, not as bright as a regular yellow shade. I took the liberty to make some swatches as well of the colors. 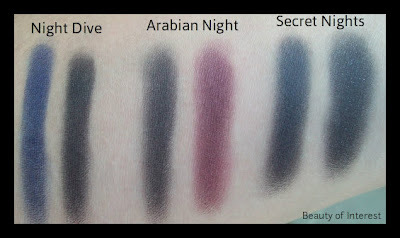 One of the new products that they released are the duo powder kohl eyeliners. I haven't seen anything like this before because they are technically not eyeshadows. I've purchased 3 of the 4 kohl liners and they are hands down my favorite product from this collection. Texture is very buttery and silky and glides on without any problems. They all contain subtle shimmer which makes it perfect to draw attention to your eyes. All of these duo kohl liners all contain a shimmery black color to create a more dramatic eye look. Arabian Night, Night Dive and Secret Night. Arabian Night was the one that has drawn my attention from the very beginning. A gorgeous burgundy/mauve color with a black color on the other side. But the burgundy color is the least pigmented liner from the three I own. 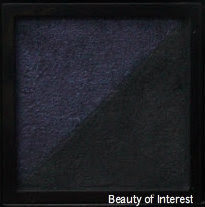 Night Dive contains a navy color with the same black colors that you can find in the other kohl liners. 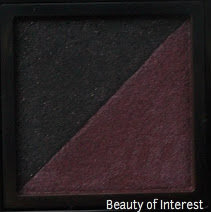 Very pigmented and true to color and definitely one of my favorites of the bunch. The teal/greenish color in Secret Night is just divine and even more stunning in real life. 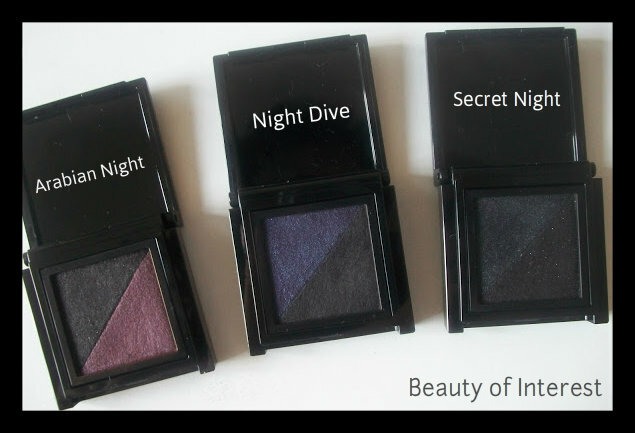 Like Night Dive it's very pigmented and smooth and easy to apply. The best way to apply these powder kohl liners is with an angled brush like the MAC 266 or 263. It gives a bit more control than a regular pointed eyeliner brush. I haven't experienced any fallout with these but for those with oily eyelids, an eye primer is highly suggested to keep the eyeliner from smudging. Here is how they look like once applied to the skin. Swatches of the kohl liners in natural lighting. 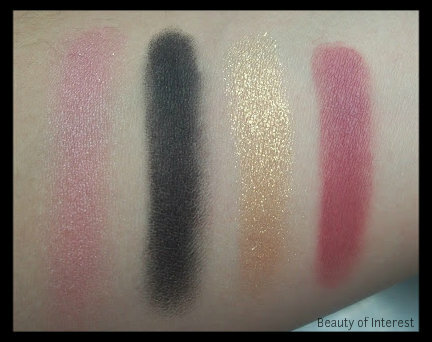 The concept of the striped blushes in this collection is nothing new and some of you may remember that it has been released before in the holiday 2010 palette. The nailpolishes are intruiging as well but there seems to be a restriction on shipping nailpolishes outside of Japan. Packages have been confiscated before so for those who want to order some nailpolishes, you have been warned. The eyeshadow cost 2100 Yen and the kohl liners retail for 2625 Yen on the ADDICTION website and can only be bought in Japan. Some websites like Ichibankao or Mihokoshop sell Addiction on their website as well.